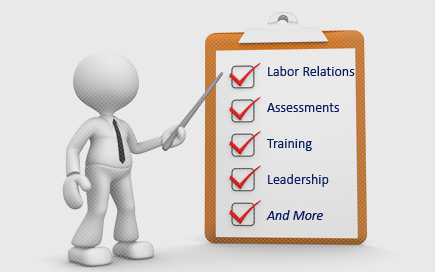 Labor Relations News Update November 21, 2013 | Oliver Bell, Inc.
Can Damon Silvers save organized labor? Government today announced the members of a new committee established to modernise Bermuda’s labour laws. Lawyers Alan Dunch and Wendell Hollis, Bermuda Industrial Union president Chris Furbert and Bermuda Public Services Union general secretary Ed Ball will serve on the committee. Carl Neblett of the Bermuda Police Service, John Harvey of the Bermuda Hotel Association, Keith Jensen of the Bermuda Employers’ Council and past BEC president Graham Redford are also members. Home Affairs Minister Michael Fahy announced the members of the committee today. “As announced in the Throne Speech it is our intent to embark on a review of Bermuda’s labour laws this legislative year,” he said. “The Labour Law Reform Committee will look at the role that labour laws play in job creation and retention and seek to introduce a system which is fairer and more inclusive. Seven labour laws will potentially be impacted by the Review. The U.S. Court of Appeals for the Seventh Circuit has held that it is unlawful for an employer to pay the salaries of certain full-time union representatives who work primarily away from the facility and are not subject to the employer’s control, despite a labor contract’s provision to the contrary. See Titan Tire v. USW, Case No. 12-1152 (Nov. 1, 2013). For years, Titan Tire Corporation of Freeport, Inc. paid salaries to the union’s president and benefit representative and provided them fringe benefits such as health insurance and disability coverage. Although both union officials previously worked for Titan, neither performed any company work while serving in their respective union positions. Instead, they worked out of the union’s office exclusively on typical union representation matters, spending most of their time outside Titan’s plant, including representing workers employed by a different employer — the local school district. When Titan told the union it would no longer pay the president’s and benefit representative’s salaries because it believed the payments violated the Labor Management Relations Act (LMRA), which prohibits employer payments to union officials (with certain exceptions), the union filed a grievance that an arbitrator resolved in the union’s favor. The Seventh Circuit vacated the arbitrator’s decision, holding that the LMRA prohibits Titan from paying the disputed salaries. In particular, the court stated that the payments violated Section 302(a) of the LMRA, which provides: “It shall be unlawful for any employer … to pay, lend, or deliver, or agree to pay, lend, or deliver, any money or other thing of value … to any representative of any of his employees … ” The union argued that these payments were exempted by Section 302(c), which allows employers to make such payments “to any officer or employee of a labor organization, who is also an employee or former employee of such employer, as compensation for, or by reason of, his service as an employee …” In rejecting the union’s argument, the court stated that the salaries paid by Titan were not “by reason of” the president’s and benefit representative’s service to Titan because neither did any work for Titan nor were they under Titan’s control. Despite its holding that Titan could not continue paying the salaries of the union’s president and benefit representative, the court stated that Titan could continue providing them fringe benefits under the labor contract because those were earned “by reason of” their employment with Titan. The court also distinguished this situation from no-docking clauses that require companies to compensate shop stewards who leave their work area to process employee grievances during the work day. It reiterated long-standing precedent that no-docking clauses are authorized by Section 8(a)(2) of the National Labor Relations Act and have been lawful for 70 years. This decision conflicts with a 1997 decision by the U.S. Court of Appeals for the Third Circuit, which held that paying the salaries of grievance chairpersons was “by reason of” their past services as employees. Because the Seventh Circuit’s decision has caused a split among U.S. Circuit Courts, and because current Supreme Court Justice Samuel Alito authored a dissent in the Third Circuit case when he was a judge on that Circuit, the Supreme Court might choose to weigh in on this issue if asked. In light of this decision, any employer doing business in Illinois, Indiana and Wisconsin that pays the full salary of a union official should evaluate whether such payments might violate the LMRA. Employers who do business outside these states may want to conduct a similar evaluation, as the Seventh Circuit’s decision could be used as persuasive authority in other jurisdictions. This analysis depends largely on the details of the arrangement with the particular union official, so employers would be wise to consult with counsel about this issue. A lot has changed for Big Oil in the past 10 years, but how much has the shale boom shifted the rankings of the world’s 20 biggest oil and gas companies? We compared today’s giants with data from 2003. Who do you think is on top? Read full article here. Damon Silvers still remembers the pickles. In 2011, at a roundtable discussion in Durham, N.C., the President’s Council on Jobs and Competitiveness showcased biotech firms that weren’t planning to hire anybody, remnants of the textile industry, and an artisan pickle maker. Silvers, the policy director of the AFL-CIO, concedes that the jobs council was celebrating some wonderful entrepreneurial people. But really, he says, it was evidence of a collapsing industrial economy and a president who seems to have given up on pushing a comprehensive progressive agenda.